Chakra Gemstone Metal Ring Set by Natural Agate has seven rings made from seven chakra stones. 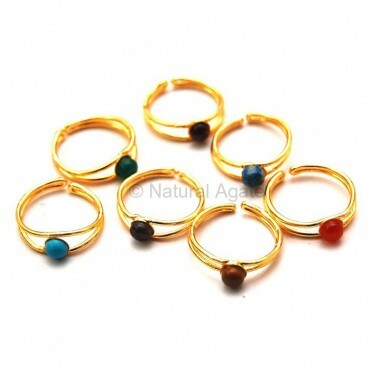 Each chakra stone relates to one of the seven body chakras. Depending upon which chakra you want to focus on wear the ring accordingly.